The traditional route to becoming a plumber in the UK is via an apprenticeship. With two years of study at college and working for a plumbing firm, you will progress towards NVQ level 2 or level 3. This typically takes two to three years to complete. With limited places available in colleges and the difficulty in getting apprenticeships, many people are turning to private companies to bridge the training gap. The choice of courses available is bewildering. We cannot advise you on which course you should take. Much of this depends on your goals and aspirations and what you want from a plumbing career. 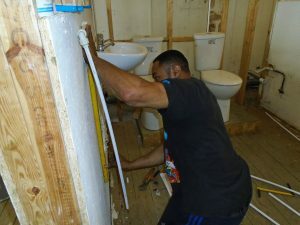 We offer the8 week Professional Plumbing Course. The course is designed around our experience in the marketplace and are similar to those offered to our franchisees. 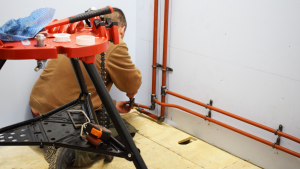 In a short space of time, we have to be able to train our franchisees to a proficient level in plumbing work, to enable them to cope with a wide variety of work that plumbers encounter in the domestic marketplace. 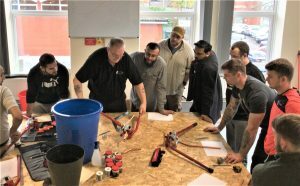 Our training is designed to ensure that our graduates are able to cope with the vast majority of plumbing jobs that they will experience in the field. This is what we are good at. The system is tried and tested, and it works. 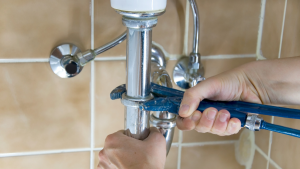 If you require general plumbing skills for your business then this course is designed for you. After finishing our course you can start earning money as a plumber in the domestic market. Plumbers install, maintain and repair water supplies, sanitation and waste disposal systems in domestic and commercial premises. They can also work with various types of heating systems. Plumbers work to plans and diagrams and all completed work must comply with strict building regulations. Plumbers usually work a 40-hour week but lots of plumbers work overtime. You will need to have an understanding of science and on a day-to-day level, you will need to have a good head for heights and be able to carry out heavy-duty work on a daily basis. 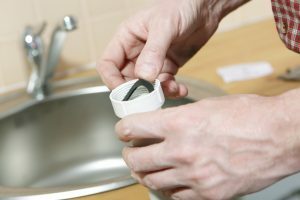 Plumbers play a very important role in society that is vital to public health (taking into account clean water, heating systems and sanitation). And how could we do without central heating and hot baths? Because of this, prospects for qualified plumbers are very good because of the need for skilled workers. 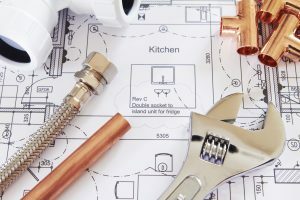 With the right skills and training, plumbers can transfer into the ventilation, heating, electrical, refrigeration and air-conditioning industries. There are also opportunities for people to progress into design consultancy, management and teaching. The salaries vary nationally with the highest salaries being in London and the south-east of England. The starting salaries of newly qualified plumbers range from £17,000 to £21,000. 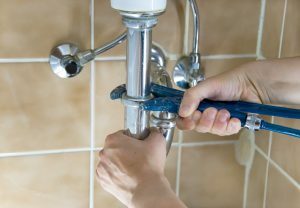 Experienced plumbers can earn much more depending on workload. After training and qualifications, the pay can be very good. The work is varied and you get to meet different people every day. If you don’t like paperwork, this may not be the job for you. You can get quite dirty, so you may not be able to go straight out after work. You may have to carry heavy tools around. Call the RF Training Centre on 0800 331 7500 to book your new life and future success as a trained and qualified plumber.